Equally as amazing would be to actually set foot on the moon. How cool would that be?! I would float through the universe seeing the edges of our Milky Way galaxy, the rings of Saturn, or a star nursery. Why, just this morning I rubbed a couple of bottles expecting a genie to pop out and grant me three wishes, one of which of course, includes a roundtrip vacation to the heavens. Until that day comes, I guess I will have to be content with taking pictures of the Earth while still actually on it, and pictures of the moon from very far away. Ho hum. 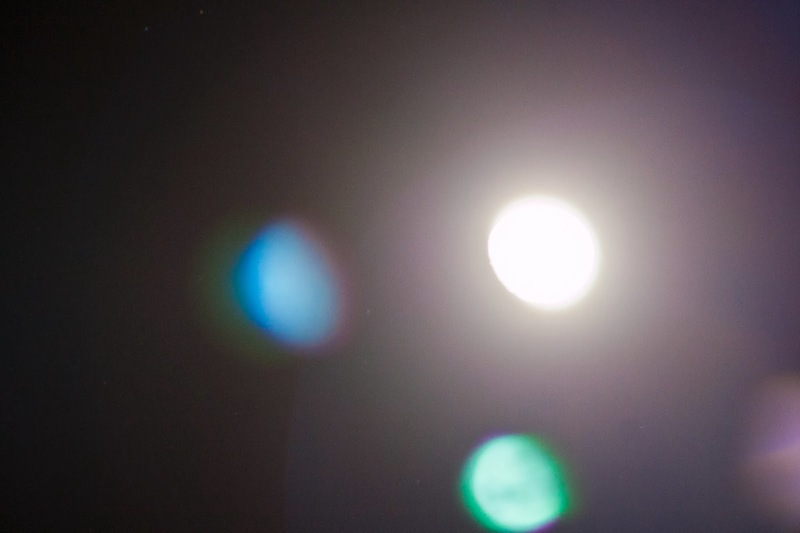 I am actually trying to figure out the best way to take amazing shots of the moon, so I have been doing my research and obviously practicing as well. Check it. Yep, totally nailed it. Good grief, this is like one of those bad Pinterest Fails. So, I adjusted my settings and got this. Um, I am going to have keep trying. 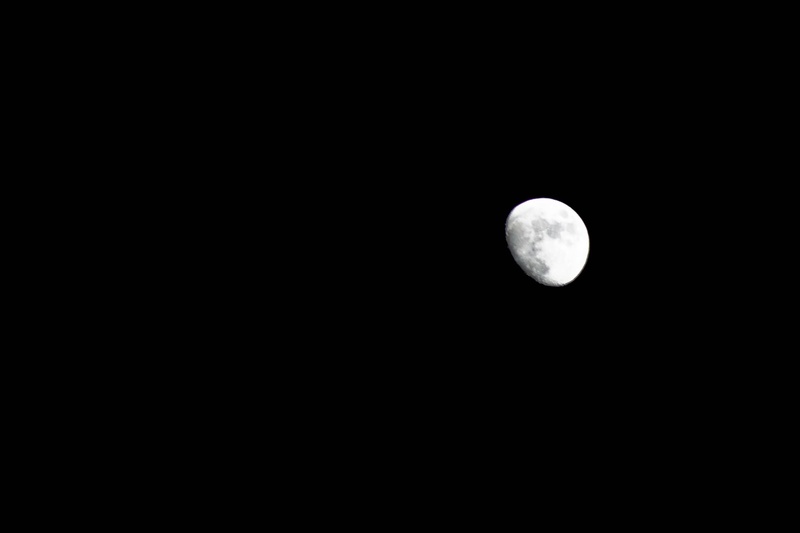 Definitely not enough contrast on the craters, not enough zoom in my lens, too much shake in the shot...I think I'll stop there for now. What I won't stop is practicing this shot. I will get there one day. Now where's that stupid genie with my wishes? !